MADISON – Another Wisconsin nine-day gun deer season is in the books, and preliminary registration numbers show a slight increase in statewide buck harvest. Similar to 2016, northern counties again showed the most significant increases in both buck and antlerless harvest. 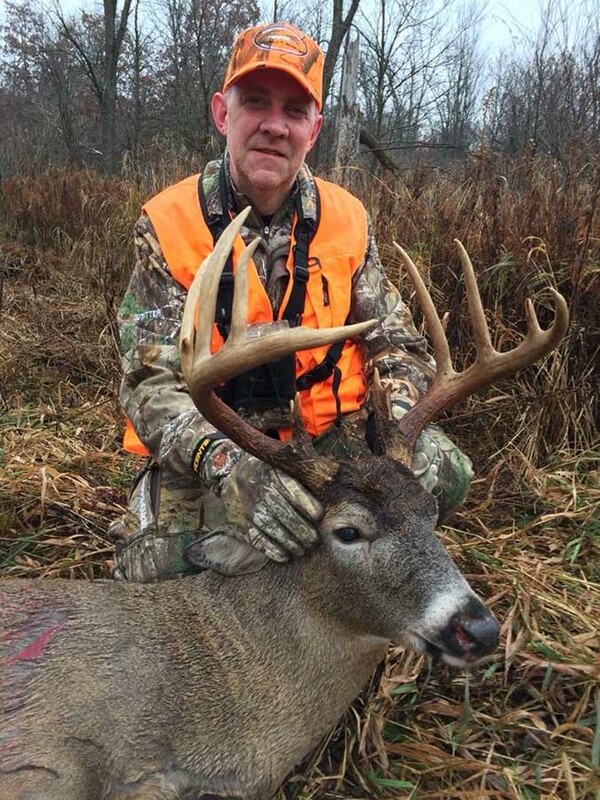 It was a great year in the field for many Wisconsin hunters. Preliminary registration figures indicate a total of 98,364 hunters were successful in their pursuit of an antlered deer during the nine-day season. Overall, preliminary registration figures show that 195,738 deer were harvested during the nine-day gun deer hunt, compared to 197,262 in 2016. For the second straight year, the largest change in buck harvest occurred in the Northern Forest Zone (12.7 percent increase from 2016) after three consecutive mild winters and limited antlerless tags. The nine-day hunt also provided successful hunters with 97,374 antlerless deer, down roughly two percent from 2016. However, those numbers will climb as hunters enjoy the statewide muzzleloader hunt, statewide four-day antlerless only hunt and nine-day antlerless only Holiday Hunt in select farmland counties. Hunters may use any unfilled antlerless tag during each of these hunts, but those tags must be used in the Zone, county, and land type designated on the tag. Total: 98,364 (.4 percent increase) antlered and 97,374 (1.9 percent decrease) antlerless. In 2017, 588,387 gun deer licenses were sold through the end of the nine-day gun deer season, less than a 2 percent drop over last year. In total, 821,876 gun, archery and crossbow licenses (not including upgrades) have been sold through the end of the nine-day gun deer season, slightly more than 1 percent drop compared to 2016. Deer hunting license and tag sales will continue throughout remaining deer hunting seasons. Conservation wardens report seven non-fatal hunting incidents in seven counties during the gun-deer season. Incidents occurred in Brown, Shawano, Washburn, Clark, Forest Waukesha and Ozaukee counties. None of the seven incidents involved mentored youth hunters. Hunting in Wisconsin is safe which is demonstrated by our continued downward trend in hunting incidents. Four of the last five deer seasons were fatality-free and nine out of the last 10 deer season ended with single-digit incident totals. Chief Conservation Warden Todd Schaller credits the declining number of hunting incidents to sportsmen and sportswomen who know and use firearm safety principles — and the thousands of volunteer hunter education instructors who host hunter safety courses statewide. As the 2017 hunting season offers additional opportunities, Schaller says it is important to stay safety-minded to continue Wisconsin’s strong safety record. Hunters are reminded of additional opportunities to hunt deer in Wisconsin. Hunters continue to use social media to share their experience in the woods with DNR staff and fellow outdoor enthusiasts. Hunters are reminded of additional opportunities to hunt deer in Wisconsin. This year’s muzzleloader season is currently open through Dec. 6, and the archery season is open through Jan. 7, 2018. A four-day antlerless-only hunt will take place Dec. 7-10, while the holiday hunt will be offered in select counties from Dec. 24 to Jan. 1, 2018. Any legal firearm, crossbow or archery equipment may be used during these hunts. The gun deer season in metro sub-units will remain open through Dec. 7 while archery and crossbow hunting in these sub-units is open through Jan. 31. The cooperation of hunters and private businesses has become increasingly vital to the success of our sampling process. Department staff would like to thank all those who continue to assist with CWD surveillance. GameReg internet registration system and call-in phone option worked well overall, while hunters continue to visit walk-in stations that offer these services. Positive feedback was received throughout the season as hunters enjoyed the convenience and flexibility of GameReg – 62 percent of registrations were completed online and 36 percent were completed via telephone. 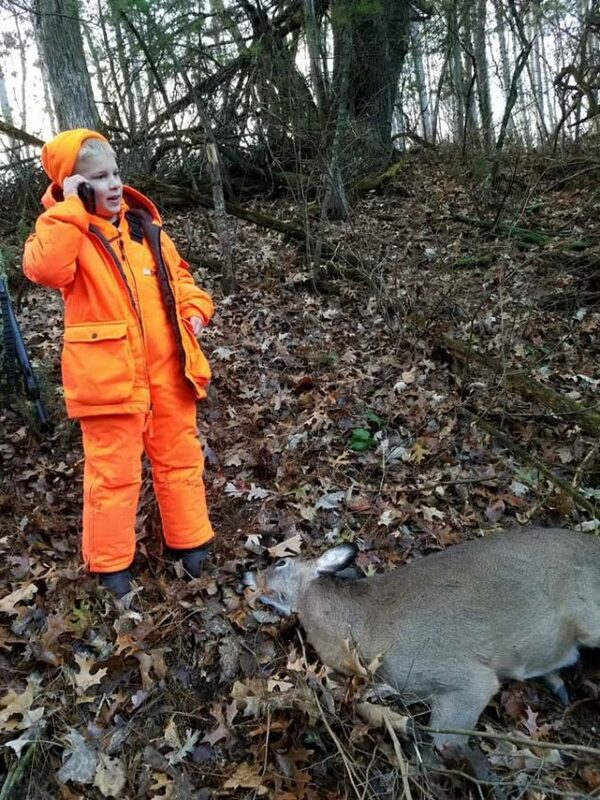 While the nine day hunt has ended, hunters are reminded to connect with DNR staff on social media through the department’s Facebook, Twitter and Instagram pages. DNR staff look forward to photos from the field each year. Also, be sure to check out Wild Wisconsin – an all new web and podcast series focused on all things deer hunting. So far, over 200,000 viewers have used the series to help prepare for deer season. Hunters who harvested their first deer this season are also reminded to fill out a first deer certificate and commemorate a successful hunt. A printable certificate will be sent to the email address provided. GREEN BAY — Proposed research to understand the potential benefits and impacts of commercial fishers using large mesh gill nets to catch whitefish on Lake Michigan is the topic of public meetings set for Dec. 5 in Green Bay and Dec. 7 in Cleveland, Wis. Currently, such large mesh gill nets are allowed in Wisconsin Lake Michigan waters north of Bailey’s Harbor and in Green Bay but are not allowed south of Bailey’s Harbor due to concerns about the potential impact they may have on other game fish through unintentional bycatch and mortality and user conflicts. 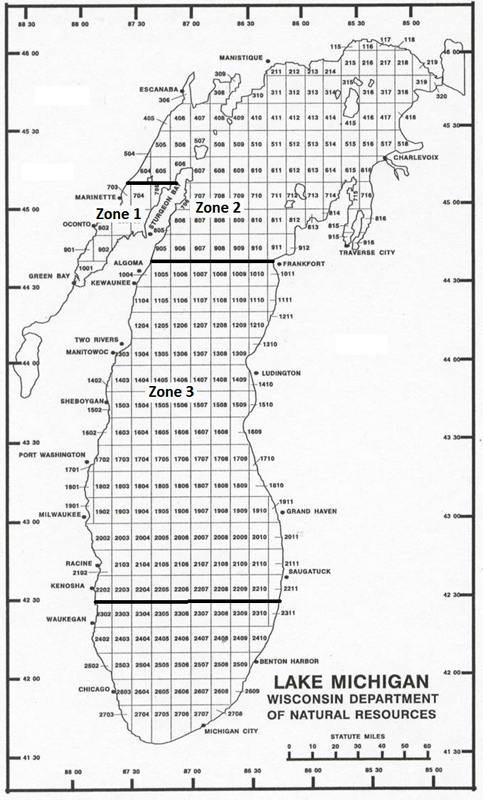 Lake Michigan commercial fishing zones. Click on image for larger size. Commercial fishers have requested the ability to use large mesh gill nets south of Bailey’s Harbor to more efficiently harvest their whitefish quota and the Department of Natural Resources is open to considering a large mesh gill net study in this area, says Brad Eggold, DNR Great Lakes district supervisor. “This study would help determine if commercial fishers can more safely and efficiently meet their quotas for whitefish and save on their costs without impacting other fish and sport anglers,” Eggold says. The primary target of current commercial fishers in Lake Michigan is lake whitefish, and a lake whitefish harvest quota is established that encourages sustainable fisheries for current and future generations. “We are committed to working collaboratively with commercial, charter, and recreational fishers to assess and develop management strategies that promote the efficient and effective shared and wise use of Lake Michigan public trust resources,” Eggold says. Public input gathered at the two December meetings will help DNR develop benchmarks, criteria, and goals that will be incorporated into a potential large mesh gill net study and assessment. Currently, the study is proposed to fully assess the potential to enhance commercial fishing efficiency and the impacts it may have on fisheries other than whitefish. Large mesh gill nets would be allowed south of Bailey’s Harbor during the study period, Eggold says. All interested stakeholders are encouraged to attend one of two public meetings. Dec. 5, Green Bay, 5-7 p.m. during the Lake Michigan Commercial Fishing Board at the DNR Service Center – Lake Michigan Room, 2984 Shawano Ave.
Dec. 7, Cleveland, 6-8 p.m. during the Lake Michigan Fisheries Forum at Lakeshore Technical College, Wells Fargo Room, 1290 North Ave. If interested stakeholders are unable to attend either of these meetings and would like to comment on this potential study, please submit your comments to DNRLAKEMICHIGANPLAN@wisconsin.gov before Dec. 10, 2017. For more information, questions or comments contact Bradley Eggold (414-382-7921, Bradley.Eggold@wisconsin.gov or Todd Kalish (608-266-5285, Todd.Kalish@wisconsin.gov). 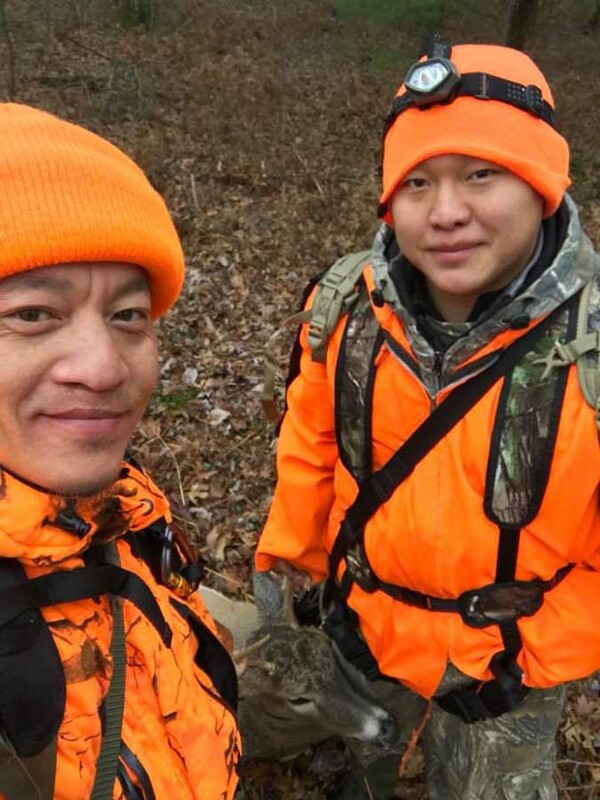 MADISON – By the time the sun set on opening weekend of Wisconsin’s 166th gun deer season, more than 582,800 hunters had purchased their license and headed into the outdoors of the annual nine-day gun deer hunt in Wisconsin. 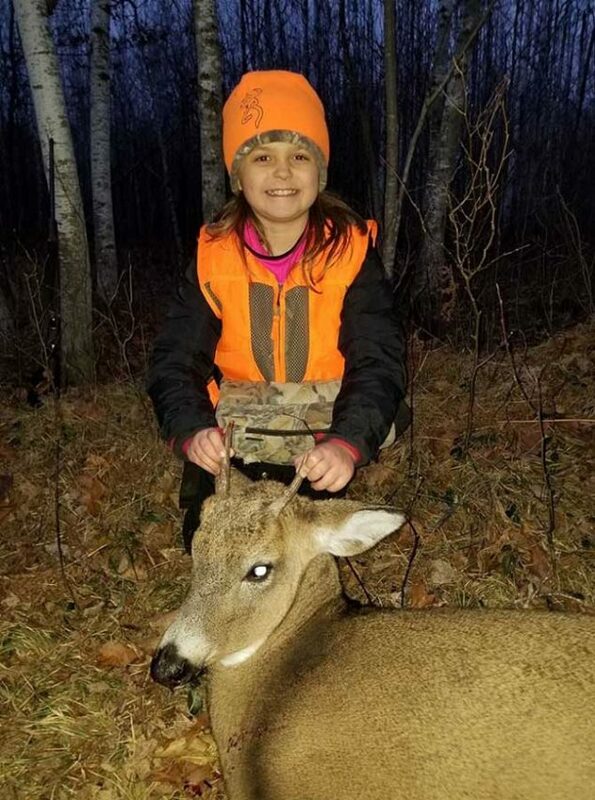 Although 587,440 licenses were sold last year, the total number of hunters that took to the field is very close to the number that purchased a license last year, the state saw approximately 6,200 additional non-residents choose to travel to Wisconsin to pursue one of their favorite activities. In total, 102,903 deer were registered through opening weekend of the gun deer hunt in 2017 compared to 116,615 in 2016 with 59,142 bucks registered, compared to 64,828 in 2016, according to figures compiled by the Wisconsin Department of Natural Resources. Preliminary harvest numbers seem to correlate with weather reports that have been shared on the Wisconsin DNR’s Facebook page as well as the reports hunters provided during the registration process with the northern part of the state experiencing much better hunting conditions corresponding with kill numbers generally consistent with last year. By comparison, the southern part of the state experienced localized rain and higher winds and overall, the kill numbers are lower than last year. With the weather reports for the remainder of the gun deer hunt looking positive throughout most of Wisconsin, hunters can expect improved opportunities and are encouraged to head out to enjoy the remainder of the nine-day season hunting with family and friends. These preliminary registration numbers provide a good indication that the local decision-making efforts of the County Deer Advisory Councils (CDAC) are paying off and having a positive impact on deer hunting opportunities. With the weather reports for the remainder of the gun deer hunt looking positive throughout most of Wisconsin, hunters can expect improved opportunities and are encouraged to head out to enjoy the remainder of the nine-day season hunting with family and friends. Pictures and stories from all over Wisconsin have continued to flood in as hunters share their experiences. Be sure to follow DNR on Facebook, Twitter and Instagram for more updates, photos and stories throughout gun deer season. The public is invited to participate in this analysis by providing information through an online input form by searching the DNR website, dnr.wi.gov, for keyword “ROA.” The public can provide feedback online or print out the questionnaire and send completed forms to the department. Public input opportunities for these two regions are open through Jan. 2, 2018. 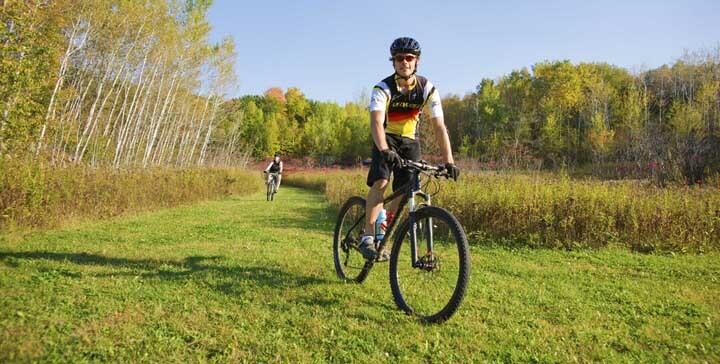 The next two areas to be studied for recreational opportunities include popular properties like the Kettle Morain State Forest-Southern Unit, where mountain biking has become extremely poplular. Tuesday, December 5, Baraboo – Baraboo Civic Center, 124 Second St.
Tuesday, December 12, Milwaukee – Urban Ecology Center – Menomonee Valley Branch, 3700 W. Pierce St. The ROA process has been underway in other regions of the state. Each of the regions studied will have chapters describing the findings of the analysis. Drafts of these chapters will be compiled providing additional detail. The goal of the analysis is to generally describe recreation opportunities for each region. The sister station upgraded their electronics last month and hired a company to recycle all the old outdated electronics that can’t get dumped into a landfill. After weeks of searching, they came across cdrglobal.com online and had them out to the station to assess the value of the outdated equipment. There were three studio rooms for production and a live room for local musicians to perform. There were mixing boards, amplifiers, tape machines, old microphones, outboard compressors, EQ’s, DAT machines, and a bunch of other outdated equipment we weren’t using anymore. The guys at CDR came in and took all of the electronics we needed removed, recycled some, and re-sold other pieces. What we were left with was a lot of real estate and a budget to purchase new gear for the station. Naturally, we went with a Pro Tools rig and upgraded our digital audio interface to allow for XLR and USB connectivity. Instead of purchasing more outboard gear, we went with plugins that emulate the hardware and saved a ton of money, room, and power doing that. The software solutions really enabled us to pull out the old equipment racks and make room for some lounge tables and chairs. We went from an old reel to reel machine to solid state hard drives that are capable of recording in 32 bit, 96k. It also opened up our closets for more storage room. We converted all the old DAT tapes and reel to reel tape to digital and freed up all that storage area that used to be dedicated to boxes of tape. The sound quality has improved drastically, and the production process is much smoother. 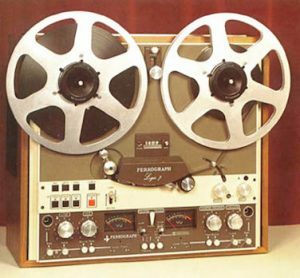 No more cutting tape with a razor, we now have a digital audio editor that allows us to make edits on the fly, on the computer, and correct any mistakes we might make. As far as the local bands performing at the station, recording those live events has gotten much cooler. Not only can we record better quality audio, but we can now stream it live on-air and on Youtube for fans and followers of the station. Making this conversion before 2018 was important for the station to grow and offer independent musicians the opportunity to come into the station and cut some records. We are looking forward to the growth in 2018 and thank all Wisconsin community members for their support. There are plenty of places to move in this country, but Neillsville is our favorite and we are excited to welcome one of our dearest friends to town. My longtime family friend Phil, his wife, and two kids officially left Kearney New Jersey and made the move out here. Part of our discussions prior to them moving here was “what is there to do in Neillsville?” I compiled a list of fun activities and emailed them. The response was grand, and within a few weeks they had their house up for sale and were packing to make the trip to Wisconsin. Before I get into all the great things to do here, which is really just the list I made for Phil, I want to take a brief moment to talk about the great experience they had moving out here. I flew in on a Friday to help him pack and get the house ready to be shown. The realtor was really helpful, she showed up and prepared the home to be shown which was a lot of help. Phil’s wife was busy caring for the young ones, so naturally, it was the two of us in crank mode packing, cleaning, and preparing for the move. We have known each other since college and have moved from dorm rooms to houses over the course of the four years we lived together, this felt like a flashback to the good old days. We ended up getting everything packed up and into the garage where we could load the boxes into the moving trucks. He hired a stellar group of guys that were extremely important to the success of the move. 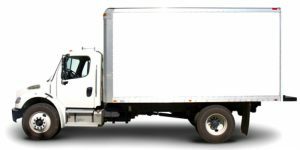 You can check out their website here (https://bluebellmovingandstorage.com/). They specialized in long-distance moves, which was perfect for what we were about to do. So, to wrap this up, they showed up and we packed the truck and made the drive. When we arrived at the new house, my wife was already there and had the home open for us to unload the moving trucks. We were unloaded in under 2 hours and setting up the home by the 3rd hour. Okay, so back to the reason that I’m making this post. There is so much to do in Neillsville, that if you are thinking about moving here for work or just want to move your family to a new neighborhood, here are some things for you to do. The Highground close Neillsville, WI is a 155-acre manned veteran memorial park that pays tribute to the deceased, and honors the natives, their support, along with their sacrifices. The Highground meets its mission of education and healing by bringing past classes into our hopes to its future. We seek to possess The Highground are still a focus of recovery for those that come, irrespective of the title of the struggle that left the scars. The playground contains tributes to veterans of WWI, WWII, Korea, Vietnam, and Persian Gulf (Desert Storm to present), in Addition to, a National Native American Vietnam Museum, a Military Working Dog Tribute, a Meditation Garden, a handicap accessible Treehouse, an Specific replica of the Liberty Bell, Effigy Mound, a Learning Center (using a library) and 4 kilometers of hiking paths. The Park continues to rise as history unfolds. Situated three miles west of Neillsville on US Hwy 10, the playground is lighted and open to visitors year round 24 hours per day. “Over for many veterans, over for individuals who didn’t return, The Highground is an area for every one of us. Earlier 1960 most rural Wisconsin children were educated at a one-room faculty such as Reed School. 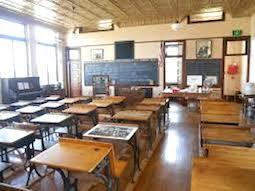 One-room schooling reflects a less portable, more rural period in our history. The broad array of ages provided opportunities for older pupils to assist their younger coworkers, which can be a feature that today’s colleges locate desirable, but hard to attain. Reed School, constructed in 1915, served as a one-room nation college through 1951. It supplied that a first- during eighth-grade instruction with no more than 1 teacher. The college is average of the over 6,000 one-room schools which dotted the scene of rural Wisconsin. Gordon Smith’s memories of attending first grade at Reed School in 1939 were the catalyst resulting in its recovery and reopening since the Wisconsin Historical Society’s 10th historical website. His cousins, Glenn Suckow and Linda Suckow Grottke, equally attended Reed School and never missed a single day in eight decades. Clark Cultural Art Center is a business that functions for the main goal of creating and investing tools to market the arts from Clark County. CART functions on behalf of it are communities to encourage arts instruction; exhibitions of regional, local, national artwork; expressions and explorations of cultural diversity; and financial growth for the larger Clark County area.Establish and completely develop a nonprofit regional arts business/ center with object-oriented arts programming at 6 Levels of ART.Artists, Teachers, Volunteers exploiting creativity and maximizing the 6 Levels of ART with functional experience.Committed to promoting and contributing to the personal, economic, and community development through education, exhibitions, advocacy and the expressions of Art. Non-Profit Organization created and supported by volunteers who determine the vision of sharing ART’s 6 Degrees of inspiration into human imagination. We’re a Horseback Experience Company in Neillsville, WI known as Wilderness Pursuit. This really is a family run company since 1982. Offering guided trail rides on mild, well-trained horses, together with all the best guides we could find through the gorgeous, scenic Clark County Forest. This Isn’t ordinary trail riding, in which you ride in a circle, we really take you outside to the forests on trails that are natural. We offer from two-hour rides to a lot of day overnight experiences. Dealing with many Distinct Sorts of classes from households, friends, childhood, Scout Groups to Church Groups. We’re a business that enjoys helping your team produce a ride which will work nicely with you. We not only supply the horses, tack, direct, scenery, and pleasure, but we could also provide meals and camping equipment. Beginning now we could get you on the road to getting an unforgettable experience! Love our website. The 1897 Clark County Jail Museum Has Been Really the Clark County (WI) Jail and Sheriff’s House from 1897 to 1978. By 1978 that the County had assembled a new County Jail / Sheriff’s Department inside the Courthouse complicated in Neillsville. Also in 1978, the County Historical Society Inc. (CCHS) started working with County and community officials to save the building from being torn down. The CCCH entered into a lease for its construction and volunteers and members spent over a year making improvements and repairs to the construction and prepared for public tours. Starting in 1980, the Society volunteers and members functioned this Museum as a member of two historical sites, together with their other apps. 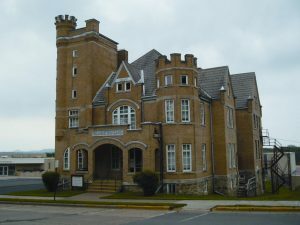 In 2008, the Jail Museum has been separately incorporated since the 1897 Clark County Jail Museum, Inc. and is maintained and managed by this company’s volunteers and members. SHEBOYGAN, Wis. – The public will have an opportunity at an upcoming public hearing and during a public comment period to submit comments on a wetland permit application and updated draft environmental impact statement (EIS) related to a proposed golf course just north of Kohler-Andrae State Park in Sheboygan County. Kohler Company has proposed developing an 18-hole golf course that would be constructed immediately north of the state park on 247 acres owned by the Kohler Company. The project site is an undeveloped area between the Black River and Lake Michigan. As part of the proposed project, Kohler has submitted to the Wisconsin Department of Natural Resources an application for a wetland permit to fill 3.69 acres of existing wetlands. The DNR has prepared an updated draft EIS to inform decision makers and the public about the anticipated effects of the proposed project as well as alternatives. In addition, the company had proposed to construct an access roadway, roundabout and maintenance facility on less than 5 acres within the state park boundary. The wetlands that would be impacted by this proposal are addressed in the wetland permit application and draft EIS. Kohler’s proposal to use park lands is still being evaluated, so that proposal is not part of the November 30 public hearing or its associated comment period. The complete wetland permit application WP-IP-SE-2017-60-X03-08T09-02-48 and updated EIS are available for review by searching the DNR website, dnr.wi.gov, for “Kohler golf course proposal.” The webpage also has a link for people to subscribe to receive email updates on the environmental impact statement and wetland permit processes. A public hearing on the wetland permit application and updated EIS will be held from 6 to 9 p.m. on Thursday, Nov. 30, 2017, at the University of Wisconsin-Sheboygan Theater, 1 University Drive, Sheboygan. Any interested persons will have the opportunity to comment on the proposed project, wetland permit application and updated EIS. The public comment period on the wetland permit and updated EIS runs through Dec. 15, 2017. People may submit comments through the DNR website, by email to DNRKohlerProposal@wisconsin.gov, or by U.S. postal mail to Jay Schiefelbein, Wisconsin DNR, 2984 Shawano Ave., Green Bay, WI 54313-6727. The department will consider all public comments and prepare a final environmental impact statement prior to taking action on any permit applications. The public will be notified when the final EIS is available. FISH CREEK, Wis. – Most people who commented on concepts for a new Eagle Tower at Peninsula State Park would like to see the tower rebuilt with an accessible ramp connecting the existing parking area and trails to the tower viewing deck through a tree canopy trail rather than from an elevator or internal switchback ramp. The Wisconsin Department of Natural Resources received more than 650 comments on three separate design concepts [PDF] for a new tower. A 60-foot tower with an accessible ramp through the tree canopy connecting to the top viewing deck received the greatest support, with people preferring it over the other two concepts: a 75-foot tower with elevator access and a 75-foot tower with internal accessible ramp. While the 60-foot tower received the greatest support, there was also strong support for building the tower to 75 feet, which was the height of the old Eagle Tower. Of the respondents who preferred the internal accessible ramp design, many indicated that they would have preferred the canopy option had the proposed tower reached the 75 feet. Additionally, people also supported a future tower that most resembled the old Eagle Tower, preserves and memorializes the original Eagle Tower, and has low future maintenance costs. The park closed the tower to public use in May 2015 to protect public safety after an inspection report raised significant concerns over its structural integrity and an inspection by the Forest Service Forest Products Laboratory staff found considerable deterioration of the structural and non-structural wood members. The tower was deconstructed in September 2016. 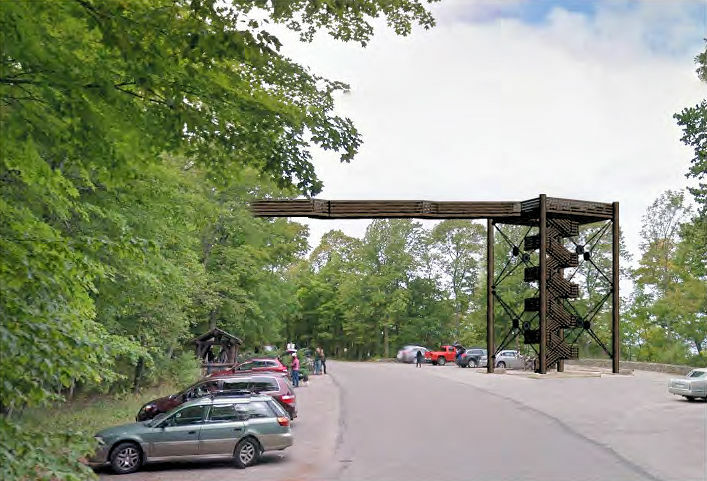 “Based on the comments provided by the public and stakeholder team, we plan on moving forward with the canopy concept while exploring the possibility of reaching 75 feet in height or as high as we can possibly make it up to that height,” said Ben Bergey, Wisconsin state park system director. The public had an opportunity in September through early October to comment on the three proposed concept options via an online survey, mail and at a public meeting that was held on Sept. 28, in Sturgeon Bay. The Friends of Peninsula State Park in cooperation with interested community members has formed a subcommittee, the Eagle Tower Fund Committee, which has raised more than $650,000 to help rebuild Eagle Tower and Gov. Scott Walker has included an additional $750,000 in the current state budget for rebuilding the tower. Bergey said the next steps will be to select an architectural and engineering firm to develop the design based on the selected concept. Depending on fundraising, plan approval and bidding, Bergey said he hopes the new tower will be under construction in approximately a year. People who are interested in donating to the reconstruction of Eagle Tower can find more information and a link to the donation website through the Friends of Peninsula State Park website at http://peninsulafriends.org. People can also sign up to receive email updates on tower progress by searching the DNR website, dnr.wi.gov, for “Eagle Tower” and clicking on the “subscribe for Eagle Tower updates” email icon. MADISON – Wisconsin’s nine-day gun deer season opens Saturday, Nov. 18, and Department of Natural Resources staff are enthusiastic about the prospects for 2017. In 2016, far northern portions of Wisconsin saw an overall gun season increase of approximately 30 percent, while the total deer harvest, including gun, crossbow, and archery, increased by roughly 22 percent. 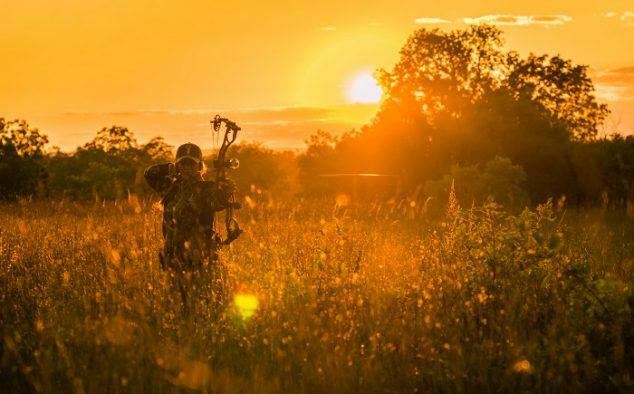 Archery and crossbow hunting in Wisconsin has continued to become more popular with deer hunters. Wallenfang also noted that hunters need to become familiar with the new deer tagging requirements, baiting restrictions, new treestand rules, and a reduction in the number of buck-only units. This year marks the third year of electronic deer registration through GameReg. Many hunters who used it in the past are realizing the simplicity and convenience of registering by phone or on their computer or smartphone. Hunters are reminded that registering their deer after harvest is required by 5 p.m. the day following recovery. Those who have not yet used GameReg are encouraged to use a number of resources available to learn more about it and prepare for success. More GameReg information is available online. Wisconsin’s four Deer Management Zones and county-based Deer Management Units have not changed in 2017. DMUs follow county boundaries in most cases, and nine DMUs are split by zone boundaries. DMU and land type-specific antlerless permits are intended to help manage deer populations more closely on each land type with the hope of enhancing hunting experiences on public land. With each deer hunting license (archery/crossbow and gun), hunters receive one Buck Deer Tag valid statewide. In addition, each license includes one or more Farmland (Zone 2) Antlerless Deer Tag(s) that must be designated for use in a specific zone, DMU and land type (public access or private) at the time of issuance. Farmland (Zone 2) antlerless tags may not be used in the Northern Forest or Central Forest zones, but bonus antlerless tags may be available for specific DMUs within these zones. All Bonus Antlerless Deer Tags are zone, DMU and land-type specific. Bonus tags cost $12 for residents, $20 for nonresidents and $5 for youth (ages 10 and 11). In 2017, four county DMUs, in whole or in part, are designated as buck-only units and include Ashland, Eau Claire, Iron, and Vilas counties within the Northern and Central Forest zones. Only the Buck Deer Tag issued with each deer license is valid in these DMUs, with some exceptions for youth, Class A and C disabled and military hunters. Hunters are no longer required to validate paper carcass tags or attach them to harvested deer. It is also no longer required to keep the tag with the meat. However, hunters must carry one of the forms of proof of a deer tag. Hunters may show proof of having a valid, unfilled deer tag by providing a conservation warden with their Go Wild card, their authenticated driver’s license, paper copies, or an electronic copy on their cell phone. Keep in mind that even with electronic forms of proof of deer tags available, hunters will need the unique tag number to begin the harvest registration process. County Deer Advisory Councils play a key role in deer management through the development of recommendations based on annual harvest data and management issues specific to each county. These recommendations help department staff determine annual antlerless quotas, antlerless tag levels and season options. Department staff would like to thank all CDAC members for their continued commitment to playing an active role in deer herd management in Wisconsin. 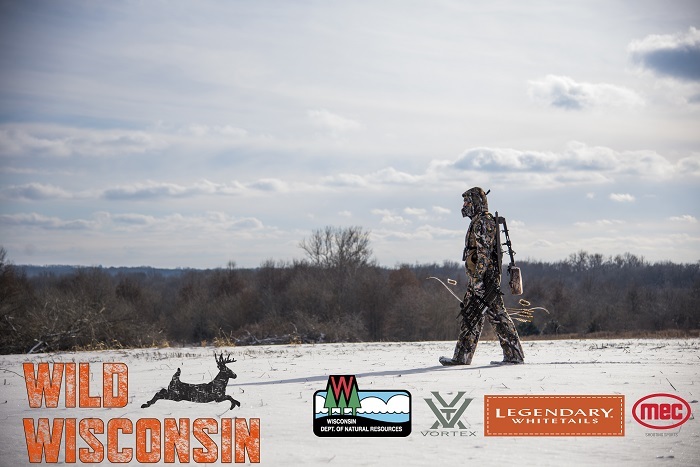 Easy access to information is the key to a successful hunt, and the Wisconsin Department of Natural Resources is excited to announce the launch of a new podcast and web series – Wild Wisconsin. Whether you prefer to watch all segments at once, catch one or two on the move, or listen to podcasts during your commute, Wild Wisconsin has it all. Topics range from public land hunting strategies to CWD and what it means for Wisconsin’s deer herd. MADISON – It is no accident Wisconsin is known nationally as one of the safest places to hunt deer for the whole family and friends. Wisconsin’s culture of hunting safety started a half century ago when the department launched a six-hour course stressing firearm safety. The course was voluntary, and while the impact was not momentous, the number of firearm injuries during the gun deer hunt began to decline. Then came more change in 1980 when hunters were required to wear blaze orange during gun-deer hunts – and the number of firearm incidents dropped more dramatically. Five years later came the expanded hunter education certification program, which also became mandatory for all hunters in Wisconsin born or after Jan. 1, 1973. About 24,000 are trained every year – and more than a million since the program started. In 1966 in Wisconsin, the hunting incident rate was 44 injuries for every 100,000 hunters. Now the rate, based on a 10-year-average, is 4.04 incidents per 100,000 hunters, a reduction of more than 90 percent. Wisconsin has experienced five gun-deer seasons free of fatalities — 1972, 2010, 2011, 2013 and 2016. Be certain of your target and what is beyond it. Always use a full-body harness. Always unload your firearm while climbing into or out of the stand. Maintain three points of contact during the ascent or descent — two hands and one foot, or two feet and one hand. Review the four firearm safety principles. Reconfirm you have positively identified your target. Reconfirm you have a safe backstop for your bullet. Review and stick to your hunting plan. Make sure all in the hunting party honor it. Thanks Wisconsin hunters for serving as an example for ethical and safe hunting.